Mr. Jones is Of Counsel in Ogletree Deakins’ San Francisco office. For over 15 years he has represented employers in labor and employment matters and complex business disputes. In addition, Mr. Jones conducts workplace investigations. Mr. Jones’s practice includes the defense of employers in a variety of industries in the full range of civil actions before California courts and state and federal administrative agencies. He works closely with his clients to develop cost effective strategies for investigating, defending and resolving legal actions. In addition, Mr. Jones performs workplace investigations. Mr. Jones regularly provides advice and counsel to employers on day-to-day California employment issues. He works with his clients to understand their business needs and provides strategic advice to avoid litigation. He regularly advises employers in the areas of interactive process, reasonable accommodation issues, wage and hour compliance, employee discipline, terminations, employee handbooks, drug testing, and severance negotiations. Mr. Jones received his juris doctorate from Santa Clara University in 2000. He is a former legal extern to the Honorable James Ware of the United States District Court for the Northern District of California and is admitted to practice before all state and federal courts in California. 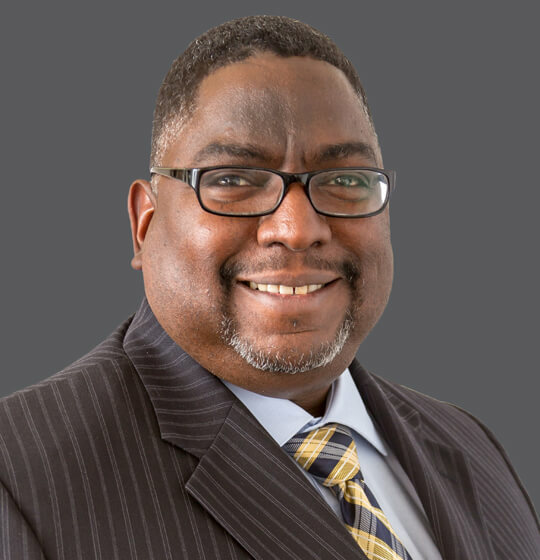 Mr. Jones has represented local and national employers in a broad array of industries including financial services, hospitality, healthcare, staffing, manufacturing, retail, transportation and technology. He has significant experience in representing employers against claims of gender, race, disability and discrimination under, Title VII of the Civil Rights Act, California Fair Employment and Housing Act, and other related federal and state statutes, as well as wrongful termination, breach of contract, defamation, invasion of privacy and many other employment-related matters. Mr. Jones is also an experienced workplace investigator. Relying upon 10 years’ experience as an Oakland Police Officer, where he conducted initial crime scene investigations and background investigations of police officer applicants, Mr. Jones designs and conducts internal workplace investigations arising out of employee complaints of harassment, bullying, discrimination, retaliation and other inappropriate actions. He works with his clients to design an appropriate investigation based upon the allegations, his client’s resources and needs.